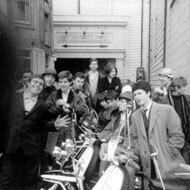 We have tried to pull together a selection of sites and retailers that we think do good things in the world of mod or indeed, related to any part of it. Please do get in touch if you can suggest any site or retailer we have missed. Indeed, it can include your own site if you want to recommend it. We’ll have a look and if we agree with you, we will add it to the existing list of sites on here. If you have good or bad experience of any of them, let us know about that too. It’s always good to keep things up to date. Affordable mod clothing brand offering shirts, jackets, trousers and more. Yes, Clarks has an online Outlet. Desert Boots regularly land here and at up to 50 per cent off. Home of the legendary, mod and ivy league-friendly loafers. Yes, you can now get them directly from the maker. Again, offers sometimes on so worth keeping an eye on. Like the store itself, you do get the odd mod gem hitting the virtual shelves online – and very cheap. Do keep an eye on the store though, as things come and go very quickly. 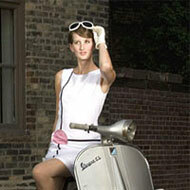 An online superstore of vintage-style clothing and accessories for women. Stock changes pretty much every day. Longstanding and affordable London-based mod brand. If you can’t pay (or don’t want to pay) full price, check out the clearance site for the classic mod-friendly knitwear maker. Not updated much, but an interesting blog on the first generation of mod. From the writer of the book of the same name comes a blog focusing on fashion of the past. Jean-Paul Séculaire’s guide to classic and modernist London.